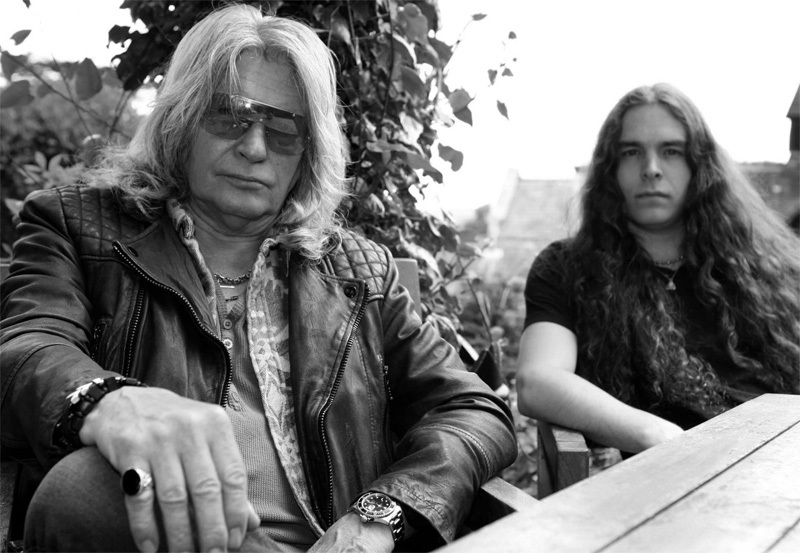 Considering his lengthy experience as a musician, it's hard to believe that Reuben Archer, vocalist for UK hard rock legends Stampede, never considered a solo project. But he admits he didn't, at least not until prompted by new Stampede guitarist Rob Wolverson. It seems he got his degree in sound engineering and was itching to exercise his production skills. Archer had some songs kicking around, so the pair made a good fit. Reuben Archer: with guitarist Rob Wolverson. Between the two of them, Archer and Wolverson have some talent creating good melodic rock tunes. Actually, I might suggest there's not a single dull song on this entire album. You've got some real catchy numbers, loaded with groove and melody, in Bulletproof, Play My Rock N Roll, Personal Sin, TV Junkie, and the delightful Spanish Nights. Archer can get a bit heavier on Shakin' All Over, a song with a wall of riffs and some ripping guitar solos. Sooner or Later pieces together some of that same heaviness with speed for a sound nearing heavy metal. But then Archer can reach for the blues, the soul of rock n roll, with Reuben's Blues, Lately, and the slow burning ballad Time On My Hands. Possibly the most interesting song here is Like A Clown. It rises up, briefly,like a typical hard rock song at the start, only to turn to something slower and smoother with acoustic guitar in the first half and then in the second half, a mellow piano segue with a light vocal arrangement. It's easily one of the top songs here. With little doubt, Reuben Archer's Personal Sin is fine accomplishment for the artist, simply well-crafted and entertaining melodic hard rock, and Reuben Archer, as a vocalist, has never sounded better. While this is hardly a negative, I just wonder if Archer shouldn't have trimmed off a few songs for his next solo album. We should all look forward to that. Easily recommended. 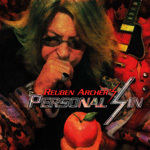 With little doubt, Reuben Archer's Personal Sin is fine accomplishment for the artist, simply well-crafted and entertaining melodic hard rock, and Reuben Archer, as a vocalist, has never sounded better. Easily recommended.